Home Green Home What is The Best Floor Covering For Your Eco-friendly Apartment Renovation? The floor occupies one of the largest areas in your home. It must be beautiful, shockproof, soundproof, durable and have low VOC footprint. Let’s see if floor materials can be environmentally friendly. Not the most budgetary option, but 100% natural. When buying, it is worth paying attention to the certification of the material. It should be from proven sources, preferably with the Forest Stewardship Council label. The finishing can be varnish or oil. This will depend on the required wear resistance of the floor, its abrasion, as well as color. Varnish and oil must also be certified for environmental safety, and at its best, be water base. Experts recommend use of one-component or two-component varnishes because they do not emit harmful substances, they are fireproof, and don’t have odor. A spacious room renovated with high-end hardwood floor. Certification data about the finishing layers can be found on the manufacturer’s website. If these specifications does not exist, think seriously about using their material. One of the criteria of environmental friendliness is the service life, as well as the possibility to change the design of the floor. 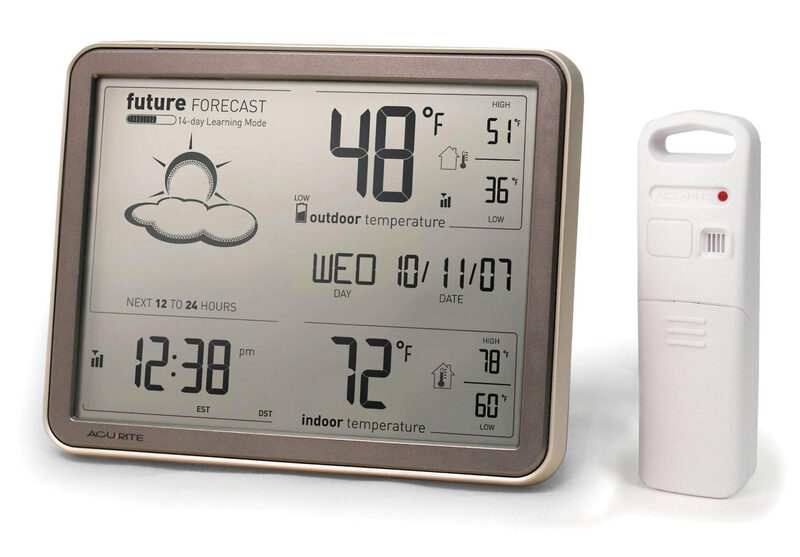 After all, your house is evolving, styles and tastes change with your household. The wood – if properly laid and operated – can be restored and painted in a different shade without constructive replacement. 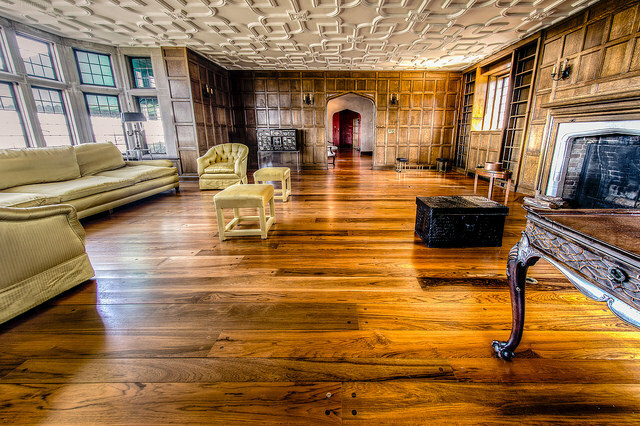 The service life of hardwood can reach up to 50-70 years. Color options are somewhat limited to the selected shade of wood and the color of its impregnation. Price starts from $4 per square foot and reach up to $200. It all depends on your preferences and budget. The main difference from the natural wood will be the sandwich structure which is two or three layers bind together. The two layered plywood is great when used in areas with high humidity conditions. But the main disadvantage is that it is less environmentally friendly. 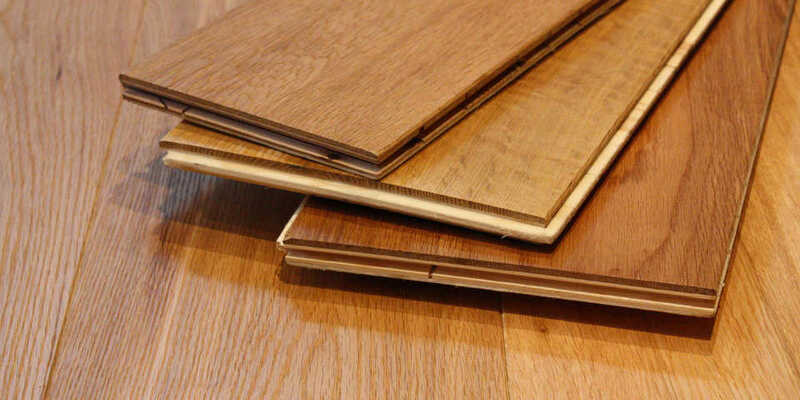 Plywood is an extremely popular material used in construction. It is made from peeled veneer by pressing several layers of wood together. Special compounds are used for gluing the layers – resin phenol-formaldehyde glue, albumin-adhesive cement glue. Of all these the safest one is albumin composition. It is used of manufacturing MDF plywood. This type material will be the most environmentally friendly, but at the same time the least practical, and almost never used for flooring. The rest of the glues are generally not recommended for residential use because of aggressive volatile chemical compounds (VOC) inside. Three-layer engineering wood do not have plywood in their composition and are the more Eco-friendly solution. At the heart of their sandwich is oak, beech, coniferous and other precious wood types. Most of the time, the engineered wood is sold without the finishing. So the Eco-friendliness depends on the oils and varnishes used by the customer. In terms of service life this material is inferior to the hardwood. When properly cared expect around 10 years of life. Prices vary from $2 per square foot to $10, depending on the manufacturer and the size of the board. The structure of a parquet board consisting of three layers. It is very similar to the structure of engineered wood. The first layer is precious wood. The second one (the core) is usually plywood or soft wood supported by some kind of stabilization backing. Usually manufacturers deliver the parquet with already applied finish, so you can’t choose one. In this case look for certification. The manufacturer or the dealer must provide this kind of documents. The parquet board has less thickness than the engineered wood. This means that the it can be renewed fewer times and has short service life. It should be noted that the installation should be made on a perfectly flat surface using a two-component epoxy-polyurethane adhesive or glue based on MS polymers. The color choice is much larger than the engineered wood because of the more types of wood used during the manufacturing process. In the world of the technical revolution, there are materials quite on par with natural ones, and often times exceed them in some parameters. Laminate is one of them. Laminated coatings are made on the basis of high density fiber (HDF) boards. The board is glued with a natural adhesive composition, already included in the structure of the tree. HDF itself is made from processing waste wood, that is, trees that have to be cut down to preserve the woods. Laying laminate boards is best done on an aligned surface. The top layer of the board consists of a print and acrylic resins that do not affect human health. Choosing a well known brands represented in you country laminate flooring association is good practice. 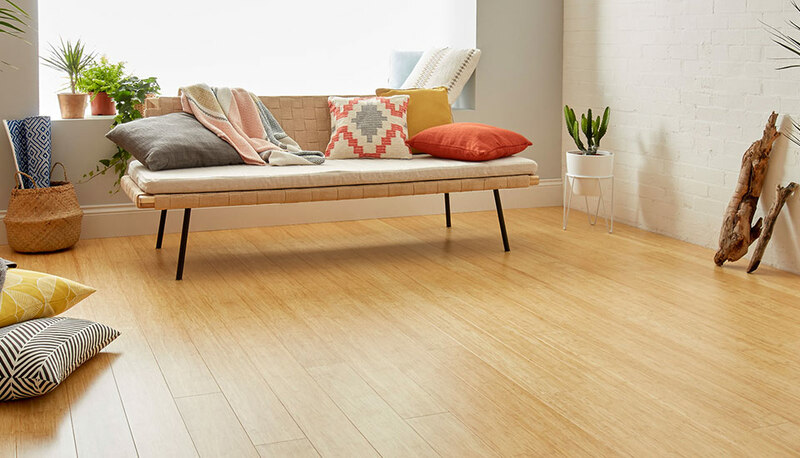 Brands like Mohawk, Shaw, IVC, Tarkett, Egger, Krono, Quick-Step, HDM, Kaindle and others are certified and can be trusted. The life expectancy of laminate (for residential use) can be up to 10-15 years. Prices can start from $1.45 per square foot and go up to $6.00 per square foot. Color palette is huge, raging from natural wood textures, stone and to mosaic to glass imitations. Ecological compatibility of cork coatings is primarily due to the sustainable production process. The cork is cut from cork oaks when the tree reaches age of 25-30 years. Further, the tree grows bark and the processes is repeated again after 9 years. Cork covers have high noise insulation values, which directly affects the comfort in your house. Such floor material is a godsend for allergy sufferers. It repels dust particles very well with just a standard wet cleaning. It is also resistant to household chemicals and moisture. Cork has natural anti-static properties given by millions of pores filled with a mixture of oxygen and nitrogen. It is recommend that you lay the cork on a flat surface and use some kind of plank flooring. Color solutions will depend on the manufacturer, but rest assured that you will have plenty to choose. Current lamination technologies allow you to apply decoration on top of the cork board with many textures and patterns. 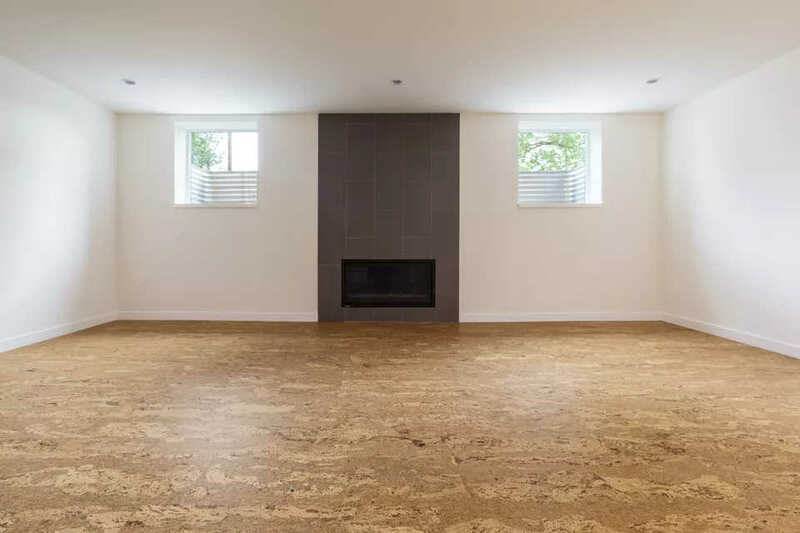 This kind of floor will serve you for at least 10 years with proper care and installation. The price range of cork varies from $2 to $7 per square foot. Ecological benefits of this type of flooring is not only in the properties of the grass itself. The amazing ability to grow fast and regenerate, makes production of bamboo very environmentally friendly. Bamboo grass has very good water-absorbing properties, protects the soil and does not leave waste after harvested – all important elements when protecting the planet is your goal. 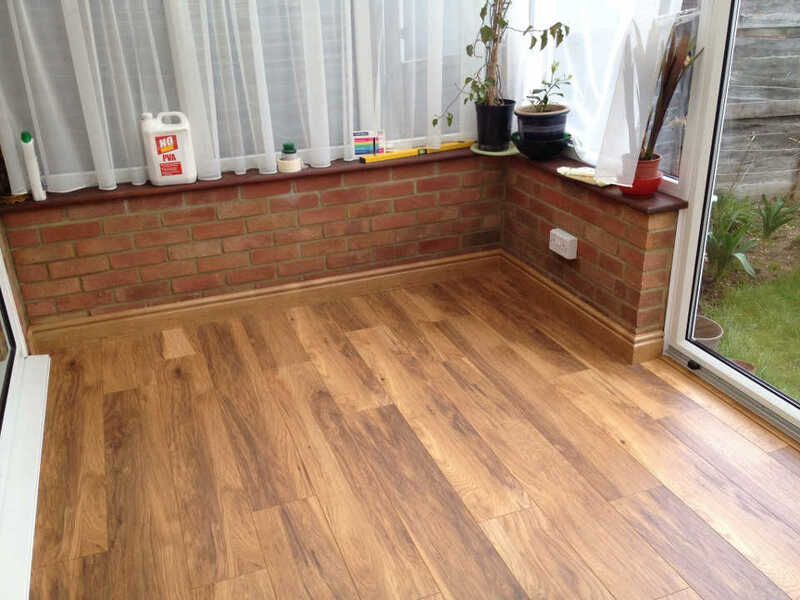 Two times stronger than oak, two times cheaper than parquet, and very moisture resistant – wondrous material. But these benefits come with few occasional pitfall. Experts recommend installing on very flat plywood based surface. Don’t forget to use environment friendly plywood to keep up with the beneficial properties of bamboo. Colors vary from the natural bamboo color, brushed surface, to finished added shades. The service life is from 10 years and up. Price starts at $1.50 and can go up to $6.00 for more exotic colors. The carpet – soft woven fabric of threads of different origin, applied to a backing. It is comfortable, soft, and durable flooring solution, especially good where softness is an important factor. Looking for Eco-friendly low VOC product is important task when choosing carpet for your home. To find such item educate yourself about type of materials and the processes involved in manufacturing. 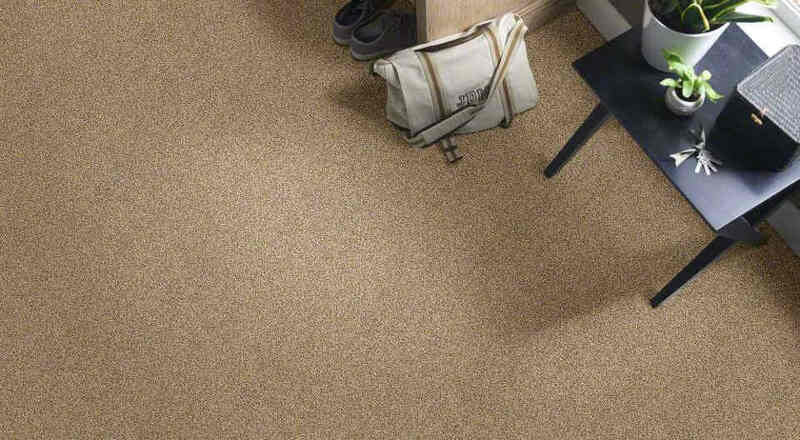 Bamboo is on of those materials and a natural choice when buying carpet. 1. Chemical reagents first soften the bamboo fiber and turn it into cellulose, then into viscose, and then into the yarn. This production is not very environmentally friendly, because of chemicals used. But we assume that any responsible producers will recycled their waste, and not dump waste material in the neighboring river. Textile industry labeled such fabrics “bamboo viscose”. 2. Ecologically clean. Separation of bamboo fibers are extracted with the help of natural enzymes. In this case, getting bamboo yarn is like getting a flax. Here bamboo silk has high cost and is used only in the manufacturing of garment fabrics. These clothes are marked – bamboo rayon. Bamboo carpet: Eco or not? To be adequate buyer one must understand that carpets are made from a bamboo viscose. But sometimes a minuses in manufacturing process can be replaced by the benefits of the material. Antiseptic. Bamboo fiber has unique, antibacterial, and antiseptic properties. The Japan Textile Inspection Association conducted a number of scientific studies and proved that even after 50-70 machining cycles, bamboo fabric does not lose its unique properties. Tests have shown that the rate of elimination of bacteria on bamboo fabric is the highest in comparison with other textile fibers. For example, under equal conditions, the growth of bacteria is observed on all fibers, but on bamboo more than 70% of bacteria die within a day. Also coatings on bamboo fabric are safe and do not cause allergies and other adverse side effects on the skin. Good thermal insulation and hygroscopic properties. Bamboo carpets retain moisture, help maintain in room microclimate, and evaporate the excess moisture quickly. Filter UV rays. The transmittance of light is so small that curtains or clothes made of bamboo are very suitable for sun protection. A bamboo floor covering will not burn out. Resistant to wear and tear from furniture. Can be easily cleaned with a vacuum cleaner or brush. It is durable, and resistant to abrasion. Wen installing pay attention to adhesive used. Dispersion adhesive (PVA) is more ecological than its two-component counterparts. Use it to maintain much safer environment. Experts recommend using such organic coatings in bedrooms and children’s rooms, instead of standard synthetic models. Made of natural components and when decomposing does not release harmful substances. Sounds like advertising slogan? Lest figure out whats what. Modern types of linoleum are natural coverings consisting of 97% of natural raw materials, 70% of which is renewable, and 43% – recycled. Like cork it has good heat insulation. The only drawback is the used adhesive. Check the specification for the type of adhesive used. Choosing environmentally friendly materials is not an easy task. The most important part is to find information not trust blindly advertising sources. All serious manufacturers are certified. Ask the seller for all available information. Generally it is not wise to buy product without a proper certification, especially in industry where chemicals are in the core of the process. Fortunately the market is full of serious brands.